The Jaeger-LeCoultre Master Compressor Extreme Tourbillon Byblos watch is a limited edition timepiece, which pays homage to the famous Hotel Byblos in Saint-Tropez. 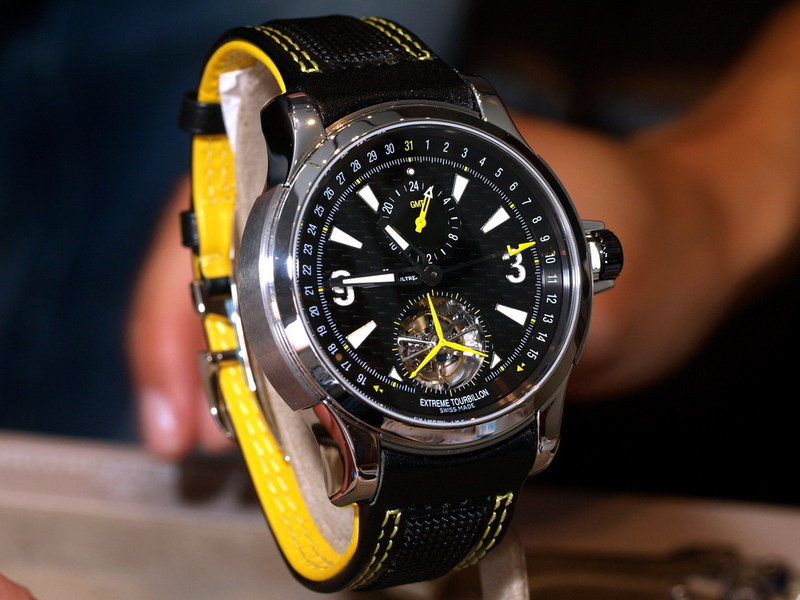 Offered in a series of 48 pieces, this sporty Jaeger-LeCoultre tourbillon watch features a case in a combination of titanium and platinum, a distinctive textured dial with sporty yellow accents, sapphire crystals on both sides, and a compression crown. 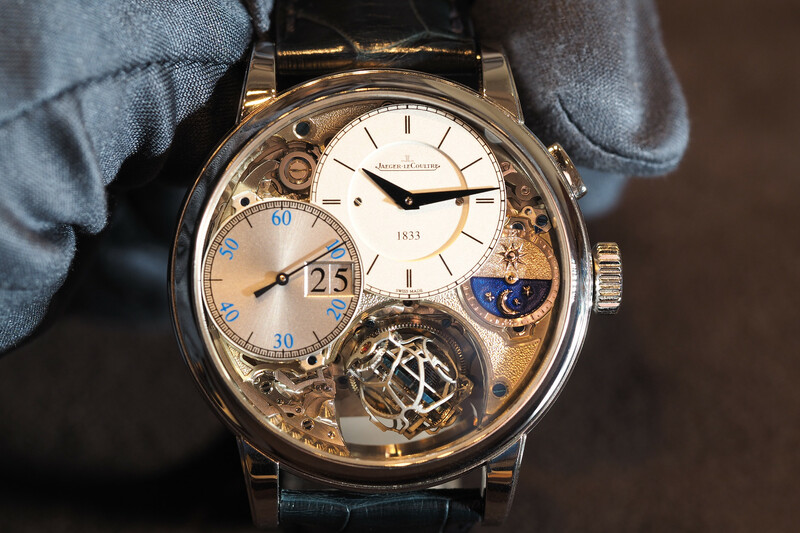 Jaeger-LeCoultre’s manufacture caliber 978B ticks securely inside the water resistant case. 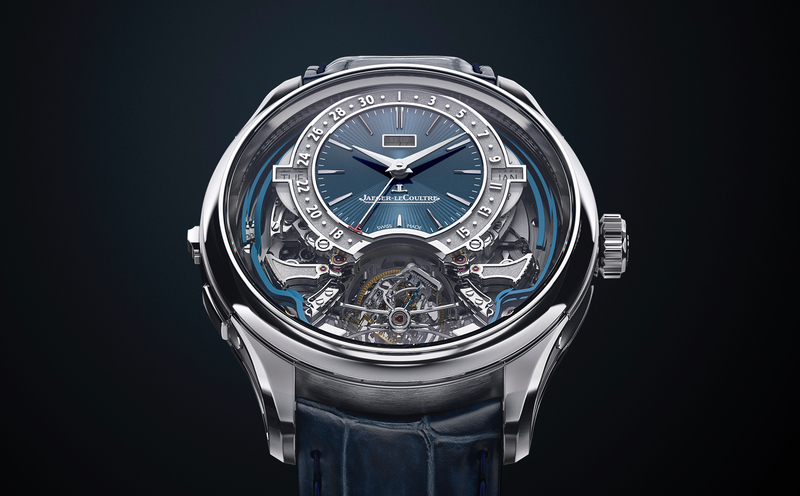 Self-winding, with a 48-hour power reserve, the tourbillon features an extremely lightweight titanium carriage. 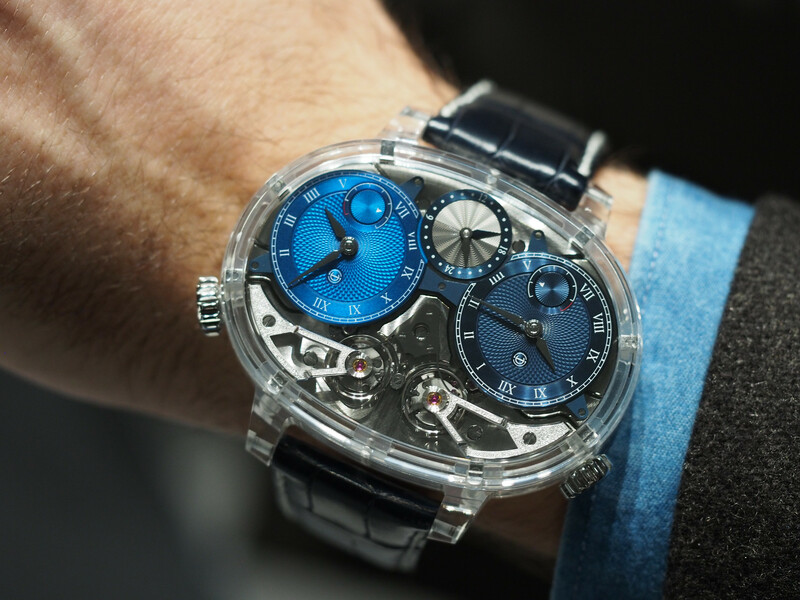 Other notable complications include a 24-hour GMT indicator which can be set to a second time zone, and a pointer date display with a unique jumping function that prevents the tourbillon from being obscured from view. The JLC Master Compressor Tourbillon Byblos watch is completed by a leather strap whose texture and stitching mirrors the dial elements.